The 2014-15 Houston Symphony Orchestra concert season really gets in gear starting this weekend with the beginning of a 3 weekend Beethoven special. Tonight the fetching Mrs. B and I will be excited to be in attendance at Jones Hall as the powerful, exciting 5th symphony of Beethoven is featured. 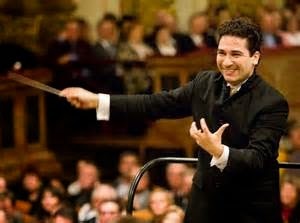 French composer Edouard Lalo's Symphonie espagnole is also on the program. Our exciting young director, Maestro Andres Orozco-Estrada, leads this world class orchestra, that I truly consider to be one of the great orchestras performing today. Beethoven's 5th and 9th symphonies are my two favorite symphonies of all. While classical music aficionados may choose Beethoven's 9th as the greatest symphony of all, I believe that the first movement of Beethoven's 5th symphony [sometimes described as fate knocking at the door] may be the most recognized piece of classical music ever, even by those who never listen to classical music. While I love all four movements of this masterpiece, it is the triumphant final movement with its prolonged stirring climax that wows me. How can anyone not leap to their feet after the finale of this symphony. Edouard Lalo's "Symphonie espagnole", while called a symphony, is a work for violin and orchestra filled with some beautiful Spanish melodies. This work in D-minor could also be labeled as a violin concerto. This piece, I think you will be able to tell from the video, requires great virtuosity to perform well. 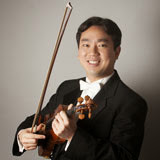 We are in for a treat as the great Houston Symphony Orchestra concertmaster Frank Huang will be the solo violinist. Sheralyn and I really love Frank Huang and if there is a better concertmaster anywhere in the world, I'd like to see him/her. While this piece has five movements, it runs just over a half an hour. As always on the Tales classical music weekends, when Mrs. B and I go to the symphony, we at the Tales like to give you a flavor of what we will be in treat for. Note: In the Beethoven video with Leonard Bernstein conducting, while it is the final allegro movement, because there is no break between the third and fourth movements you will hear the bridge from the third leading to the fourth movement. You will be able to tell the transition when the exciting fourth movement begins. Please turn up the volume and enjoy some Lalo Spanish melodies and excitement from the great Beethoven. I won't need my second cup of coffee! As majestic and rousing is the music,it was difficult to take my eyes off of Mr.Bernstein; if I couldn't hear the notes I would still hear the tune just by watching him! What a talent,never to be seen again.Thanks Big Mike!